What are the root causes of body dissatisfaction? About a month ago, I finished reading a book Personality: What Makes You The Way You Are . 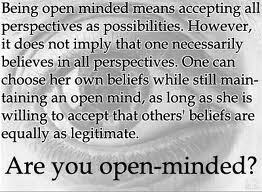 Openness – (inventive/curious vs. consistent/cautious). Appreciation for art, emotion, adventure, unusual ideas, curiosity, and variety of experience. Conscientiousness – (efficient/organized vs. easy-going/careless). A tendency to show self-discipline, act dutifully, and aim for achievement; planned rather than spontaneous behaviour. Extraversion – (outgoing/energetic vs. solitary/reserved). Energy, positive emotions, surgency and the tendency to seek stimulation in the company of others. Agreeableness – (friendly/compassionate vs. cold/unkind). A tendency to be compassionate and cooperative rather than suspicious and antagonistic towards others. Neuroticism – (sensitive/nervous vs. secure/confident). A tendency to experience unpleasant emotions easily, such as anger, anxiety, depression, or vulnerability. Although the book seemed like a recap of my Personality Psych course in college, one notable item stood out though. For those of you that don’t know, serotonin is one of your brain’s four main neurotransmitters and is related to how happy and relaxed someone is. If you’ve ever seen someone on a low-carb, low fish oil diet, then you may have seen a person that was NOT happy. The reason is because serotonin levels drop dramatically when an individual’s carb intake drops below 40% of their daily caloric needs. So the person with even one version of the SNP that codes for the serotonin transporter gene, tended to be less happy and more prone to depression and anxiety. Depression is linked with rumination, which is constantly thinking about an issue, over and over again. Neuroticism can sometimes come off as low self-esteem because the “neurotic” is nervous about things all the time. In fact research has shown that those with low self-esteem are much more likely to start a fight-or-flight response in simple images of being rejected (http://www.ucop.edu/sciencetoday/article/16663). In other words, facing rejection or being rejected for someone with low self-esteem (score higher on the neuroticism) will feel the impact of that rejection much more than someone that doesn’t score low on neuroticism. This could be one reason why a person can be unhappy with the way they look. In addition to that, low serotonin levels have also been shown to skew the way you view “fairness” by another person in the negative direction (http://www.ucop.edu/sciencetoday/article/19025). In other words, not only will you take rejection stronger, but you’re more apt to interpret ambiguous situations as negative situations. This causes a self-propagating cycle of interpreting situations negatively, reacting negatively, pushing people away, having others not know how to react, interpreting that ambiguous situation negatively, reacting negatively and so on and so forth. 1 – High Neuroticism/Low Conscientiousness (low self-discipline): This equals a higher chance of fluctuating between losing weight and regaining it. This means that you worry what others think and therefore do what’s necessary to lose weight, but then you’re not very good at self-discipline and keeping it off which causes you to go through a yo-yo effect with your weight. (http://www.sciencedaily.com/releases/2011/07/110718111425.htm) This can also be linked to higher incidence of Bulimia (http://www.ncbi.nlm.nih.gov/pubmed/16099563). Acceptance then comes down to not only knowing who you are, but not being nervous about it. If you look at the factors that play into eating disorders along with obesity, you come to see that there is some overlap. Low Conscientiousness in general leads generally to higher BMI’s. High Neuroticism in general is linked to depression and anxiety. These “traits” have a genetic component. But as with ALL things that have a genetic component, there is ALWAYS an interplay between the environment and your genes. The same can be said for those that are naturally thin versus those that are naturally “heavier.” Those that are heavier might have to watch what they eat more closely along with being more active in a planned manner (aka, exercise), but they don’t have to be held back by what their genes are pushing them towards. So the question remains, what can you do to move past what your genetic susceptibility to lower serotonin levels and/or naturally lower self-discipline? Here’s three things you can do starting today, while next week I will talk about how to shift your neurotransmitter levels (increase serotonin) via foods and supplements. “The first thing to point out is that the negative emotions are clearly there for a reason. They are protective systems for our body and mind, and it would be disastrous to lack them entirely…Studies of writers, poets, and artists show that these groups have extremely high rates of depression, suggesting very high Neuroticism. Could their Neuroticism be helping them achieve as they do? There are several ways it might help. First, they may write as a form of therapy…Second, high-Neuroticism scorers feel that things (and this applies to both the things in the world, and things inside themselves) are not all right as they are, and so they want to change them. Thus you would predict that high scorers would actually be innovators in various domains, particularly those concerned with understanding the self and giving it meaning. Related to this, high scorers are afraid of failing, and this – as long as they don’t feel so awful that they can’t function – motivates them to strive. There is plenty of evidence for Neuroticism-related striving. 2 – Realize that you can grow and are not stuck, no matter where you’re starting. You are never stuck, but you might have to put more work into getting something you want compared to someone else. Last week I edited one of my oldest posts about the Growth vs Fixed Mindset that discusses this concept in more detail – Read it here: Have a Growth Mindset. 3 – Be grateful more often. Being grateful turns ruminations about negative things into thoughts about the good things in your life (http://www.ucop.edu/sciencetoday/article/16771). By doing so, you start to shift your brain’s chemistry and stop laying down the tracks that build negative ruminating thoughts. Here’s a quote about the study: “grouchy study participants who did just that became more positive, exercised more and had less health problems.” All that for simply writing down what you’re grateful for sounds worth it to me. Next Tuesday’s Psych post will talk about how foods and supplements affect your neurotransmitter levels and how you can shift them to be more balanced. 1 – This is not the final word on why people aren’t happy with their bodies. 2 – Almost everyone I know is not satisfied with their body for one reason or another and just because you’re not completely satisfied, doesn’t mean that you can’t accept your body. 3 – Although I give a “genetic” reason why some people are more prone to not accepting their body, doesn’t mean that there isn’t a number of influences and reasons why someone would not want like their body.